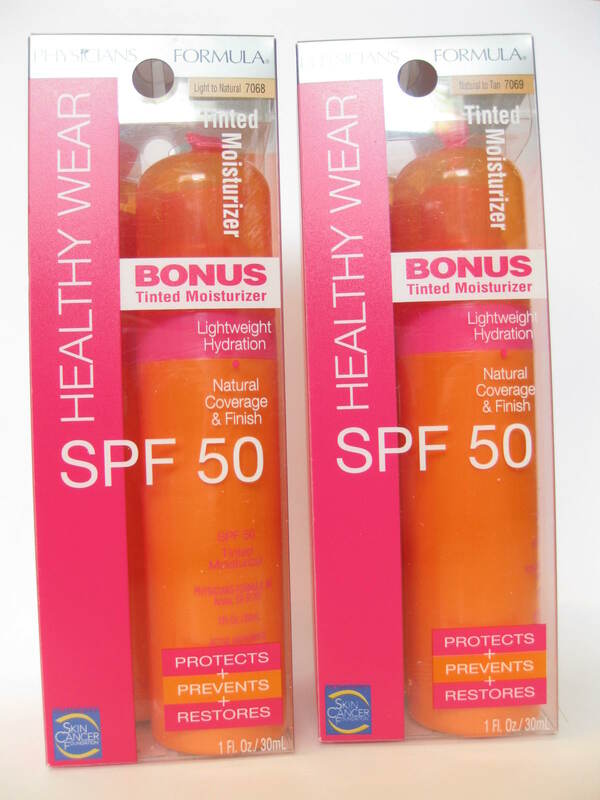 I first bought the Physicians Formula Healthy Wear SPF 50 Tinted Moisturizer almost 2 months ago. I became intrigued with the TM (tinted moisturizer) when I picked up the Healthy Wear Bronzer back in May but skipped it. I loved the idea of a cheap TM that was high in quality and it stayed on my mind for weeks until I finally broke down and bought it in 2 shades. But could a drugstore tinted moisturizer really work? Could this Physicians Formula TM make all my wildest TM fantasies come true?? Skip on to the review! HELPFUL HINT: I've seen a few CVS stores carry the 2 packs (what I bought) so keep lookout for those! That brings it down to just around $7.50 a bottle. 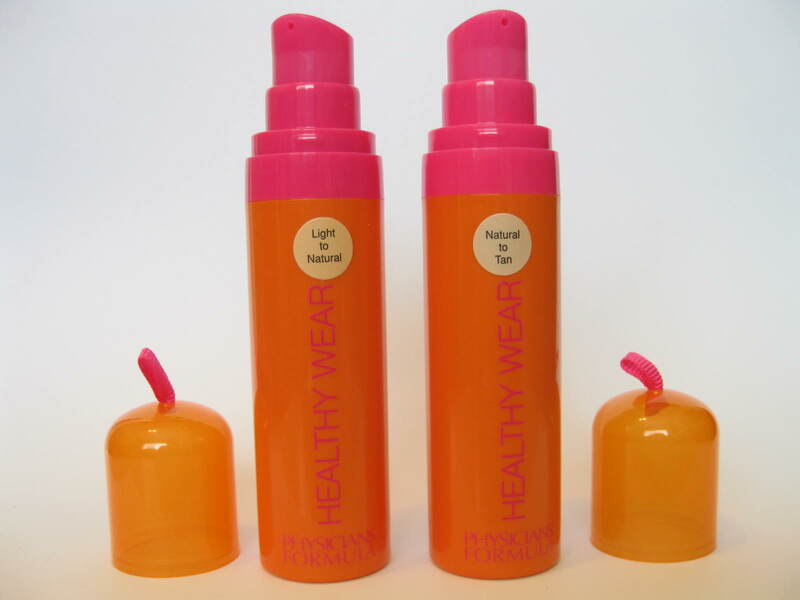 The Packaging: The TM comes in a bright orange, plastic tube with pretty pink touches to the pump, font, and little ribbon on top (of the cap.) 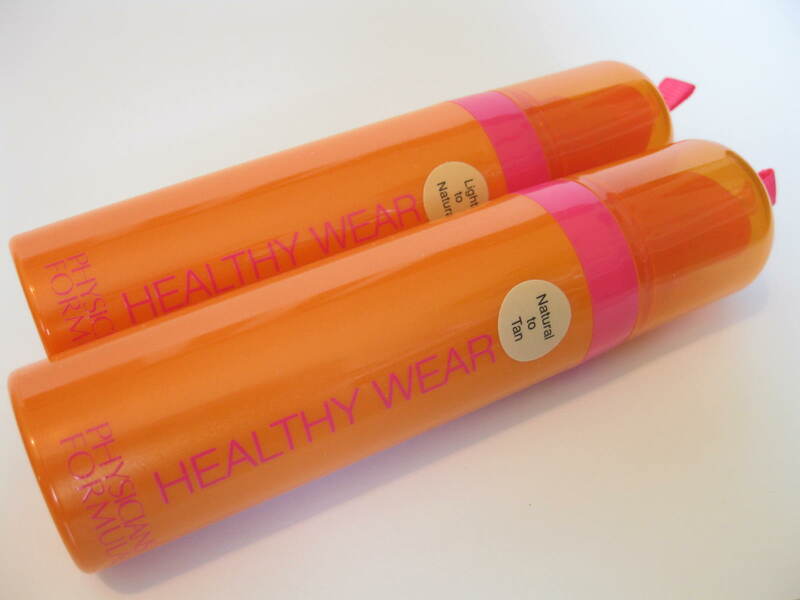 The bright orange and pink matches the rest of Physicians Formula's Healthy Wear line. A sticker on each tube displays the color name which I'm not fond of -the should've printed the name on the tube or stuck the sticker on the bottom. 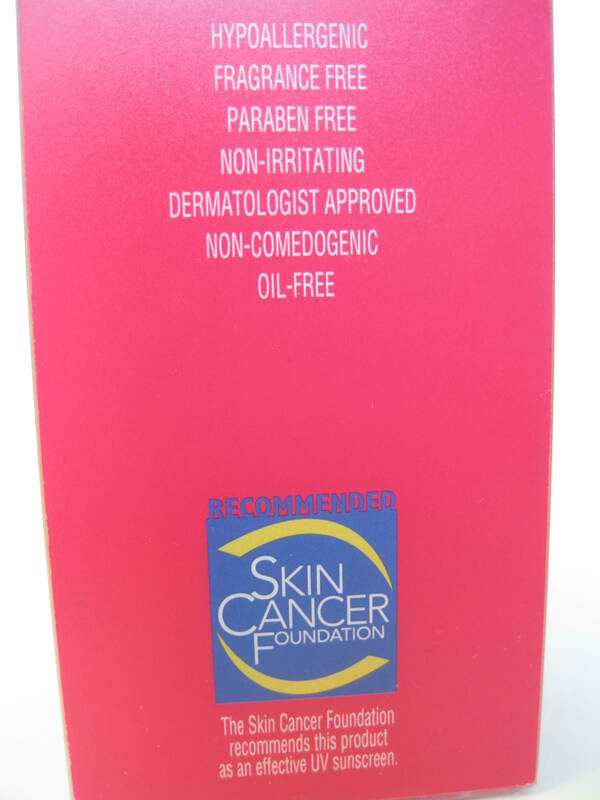 The Product: First off, I love the fact that this TM contains a high SPF -it's important to wear products with SPF (sunscreen, TM, etc.) when out in the sun. 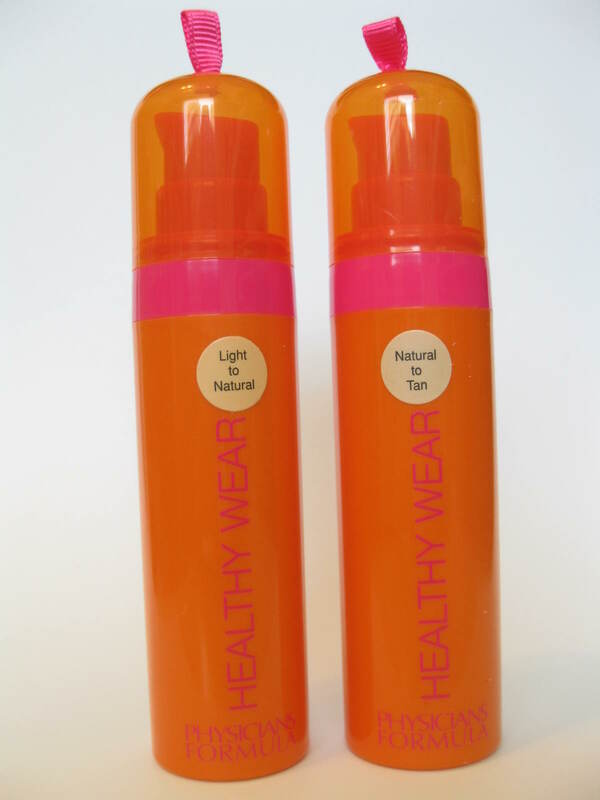 The TM is very easy to apply, felt light, and didn't irritate my sensitive skin. The texture is non-drying (unlike other TMs I've tried) and does a good job keeping my face moisturized and soft. However, when I touch my face (while wearing the TM), it feels sort of sticky and oily which makes it highly prone to rubbing off on clothes. 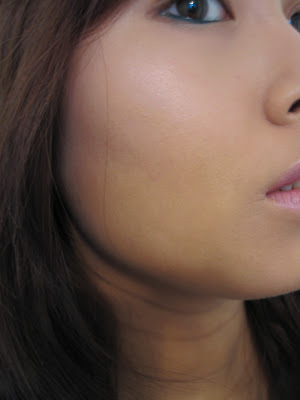 The coverage is light to medium and the end effect is a natural, dewy face. However, I can see this "dewiness" crossing the line to oily on those with more oily skin -it's kind of right in between for me. Another thing I should mention is that because there's SPF, my face looks significantly whiter in pictures -causing me to look like my face has been plopped onto another body!! 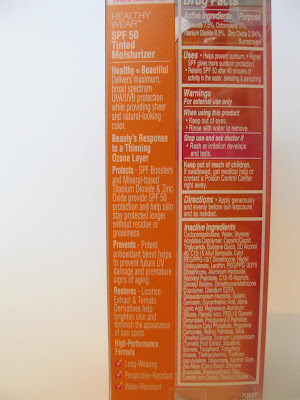 Also, something that's very important to me when searching for TMs and sunscreens and the scent -I cannot stand strong sunscreen smells. 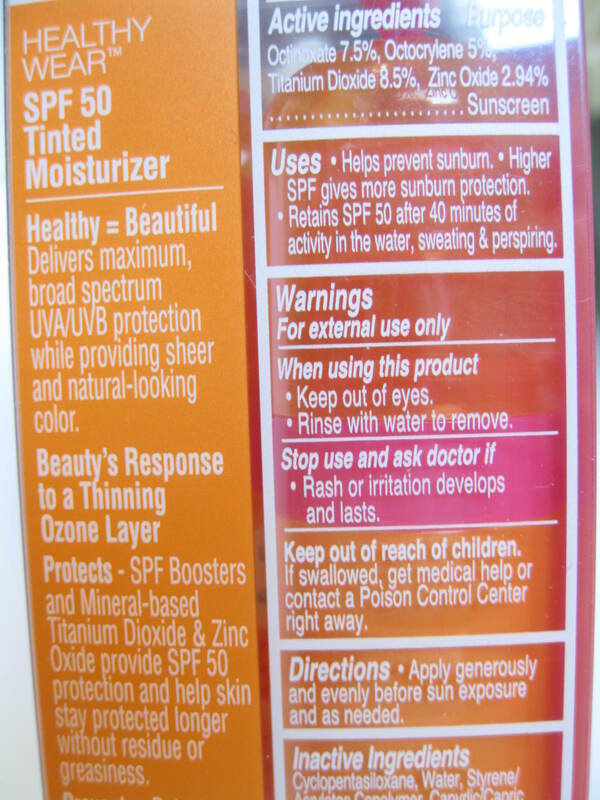 With this TM, the scent is there (smells like your standard sunscreen) and once applied, it's still there but light. I'd say my skin is already doing fairly well and I only get the occasional blemish so I wasn't looking for something too heavy. However, the TM did have to pass a few tests. Something that really bother me though is that I have these veins on my face on each side of my mouth that run just below my cheekbones. They're not that apparent but you can see them if you really look. Also, my skin is uneven -my forehead is like 3 times darker than the rest of my face! This TM basically looked good from just my eyebrows down so I don't recommend this for uneven skin. While it does cover my veins about 90%, it doesn't take care of the unevenness I have in my forehead area. The only thing this TM does for that is make my forehead look extremely ashy, dry, and gray. Does it pass the "nose test""
I always have a problem with most foundations and TMs looking very dry and flaky on and around my nose area. With this TM, it looks fine from a distance but if a person's a foot away or closer, it's very noticeable and gross looking. HELPFUL HINT: Like most other foundations or TMs, the product is prone to becoming separated in the bottle. A simple little "shake" will fix that. 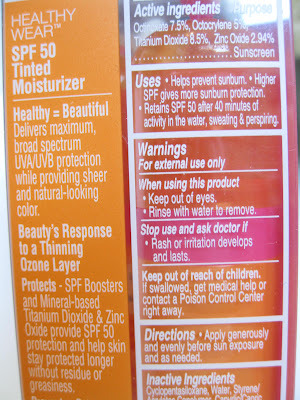 Also, even though this TM contains SPF 50, I'd still go ahead and use sunscreen underneath. You don't want to rely on just your makeup for your healthy dose of SPF. The Color: From what I can tell, the 2 shades look very similar. 1. 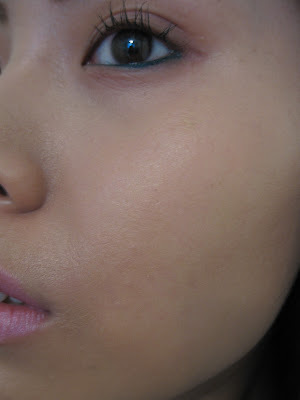 Light to Natural- Light-Medium with yellow (but almost neutral) undertones. It's a bit too yellow for my skin tone. 2. Natural to Tan- Slightly darker than "Light to Natural." It's medium with pink undertones. The shade almost matches my skin but it's a little too pink. I can get away with wearing it from the eyebrows down but on my forehead, it's way too light. I've read from many reviews that the 4 shades offer run really dark. I haven't tried the lighter shades and I'm not extremely fair-skinned myself so I can't speak of that. However, I do have to say that to me, the shades aren't dark enough! Just 4 shades will not cover the 4358043643 different skin tones out there in the world. I'd consider myself as someone with warm light to medium skin so it's very surprising that I'd find a foundation/TM to be too light. 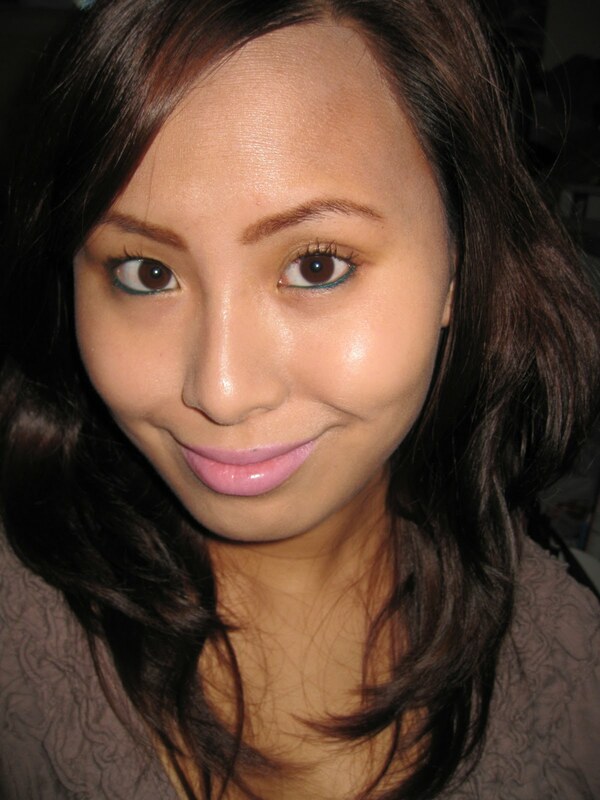 Physicians Formula needs to add darker shades for the tanner and darker skinned ladies because the "darkest" shade is a tad too light for even my light to medium skin. See how gray my forehead looks?? See how white my face looks compared to my neck? It's the SPF! I'm also not fond of the sunscreen scent (even though it's not super strong.) I also really wish that more shades were available -this might've worked for me if that had been the case. So even though the TM covers my veins very nicely, the product actually makes me look worse than when I'm not wearing it at all because of the gray forehead and "dry nose" issue. Also, this may be too oily for some folks. For dry skinned ladies, it's fine and very moisturizing. I thought it was a water bottle or soda at first. Definitely not your typical packaging for TM. After using Laura Mercier's TM, I don't think I'm going to stray very far from it. 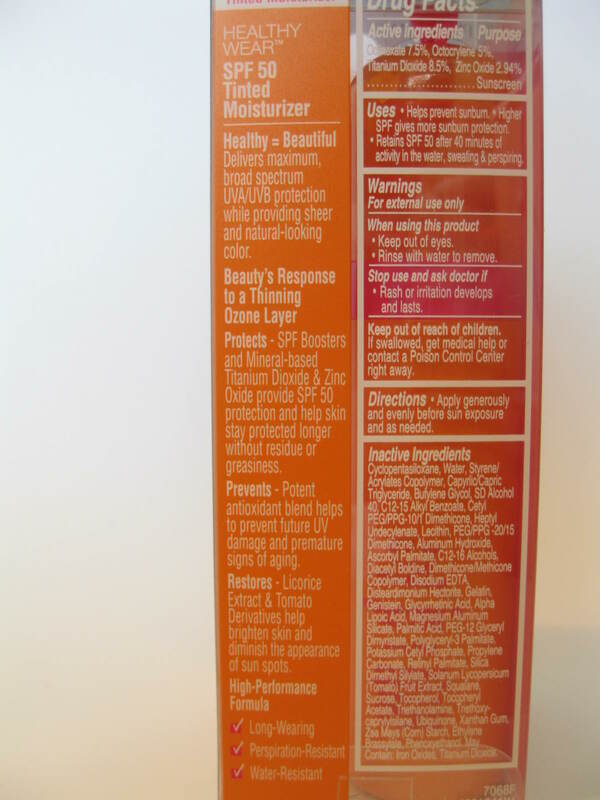 Works great and is light on the skin. If only they'd lower the dang price! I'm on the fence about this one. 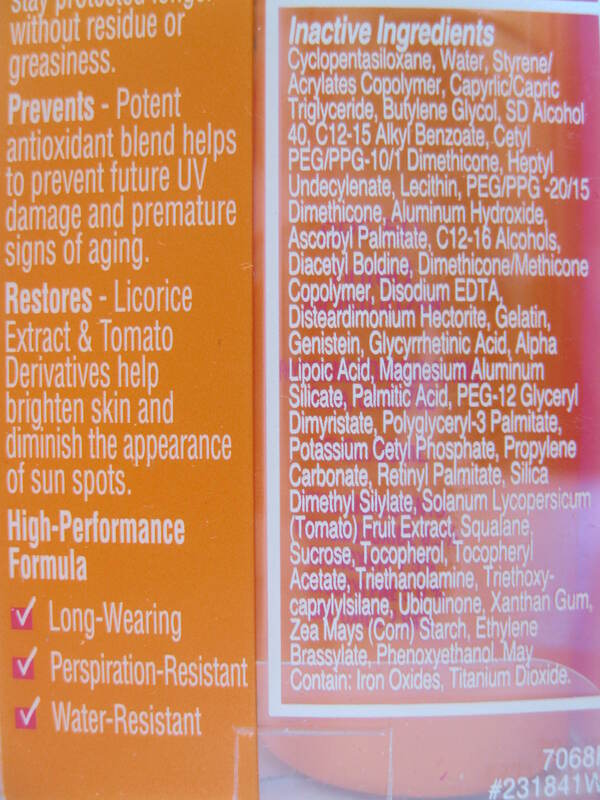 The shade I got (Light to Natural) is too orange for me, but I wasn't even too blown away by the formula. Your skin is FLAWLESS, by the way! So pretty! @ Steph.. Thanks. =) And have you tried the Natural to Tan? It's a bit "pinker" but darker too. Since you didn't like the formula much, have you tried Laura Mercier's or Tarte's TM? They're pretty good. Btw, I forgot to mention how jealous I am of your flawless skin. What's the secret?? 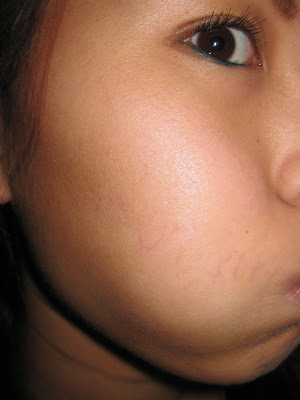 Looks exactly like Stila TM which um using at the moment. 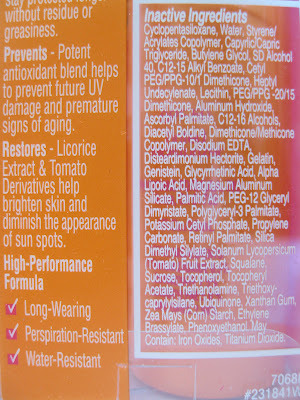 But Stila is pretty expensive also the SPF is lower than this one. I live in a real HOT and Humid country, will try this one.